Hello! My name is GBD and I love everything Nintendo (well, just about). 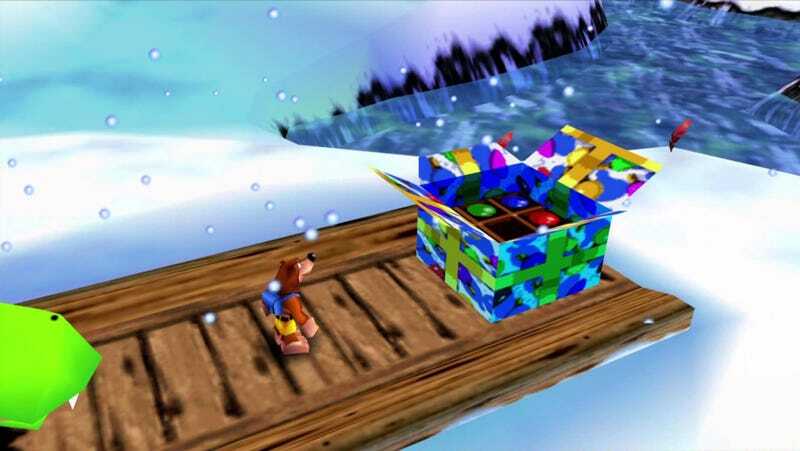 My favorite game of all time is Banjo Kazooie and I’m a sucker for any N64 platformer. Super Smash Bros and Donkey Kong Country are my two favorite series of all time. I collect all things Nintendo (I have over 400 games) and focus most of my efforts on Zelda, Kirby, Splatoon, and (more than anything else) Donkey Kong. I love me some Overwatch. My favorite heroes are D.Va, Symmetra, Solider 76, Torbjorn, and Junkrat. I’m a huge fan of video game art books or history books. Though I already own many. Plushies, action figures, old school games, consoles, clothes, I love anything gaming related. I also love board games, so if you know of one that’s awesome that’s always an option as well. Shirt Size: Large. Though if it looks huge get me a medium. Here’s my Amazon wish list if you need any ideas.